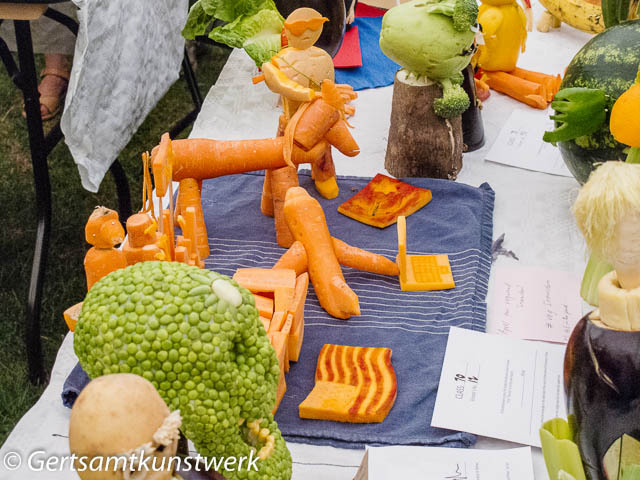 Carved carrots telling the story of how Edward Snowden ended up in Putin's Russia (that's Putin, bare chested on the horse). In the foreground is Boris Johnson, made of peas. This was made by Harriet from two roads away from me.